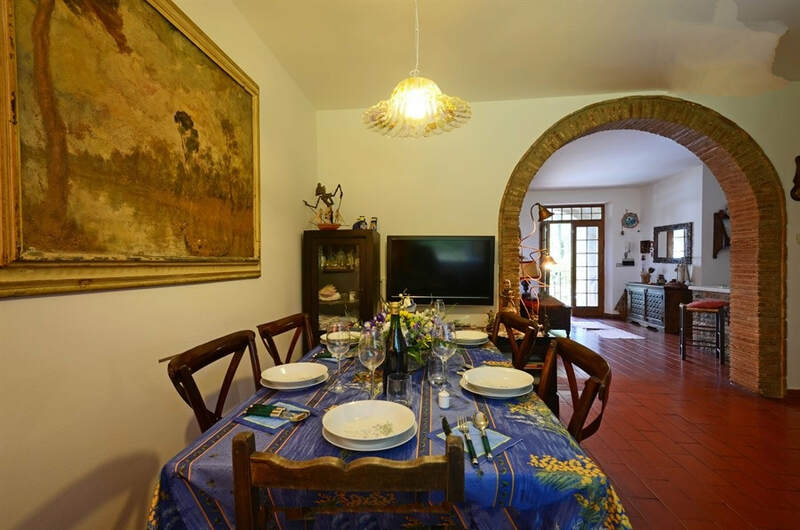 ​Villa Bellavista is an authentic corner of peace nestled in the quiet green of the beautiful hills of central Umbria, located along a residential road just a few kilometres from the medieval borgo of Piegaro, 649 m high. 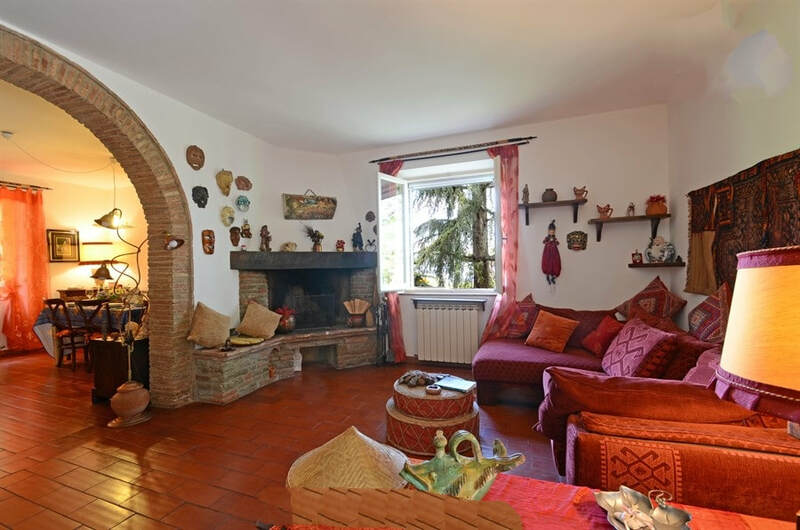 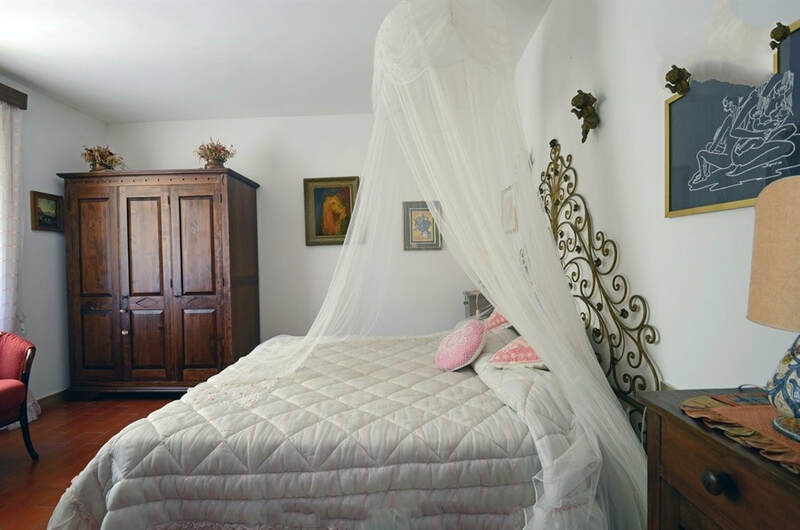 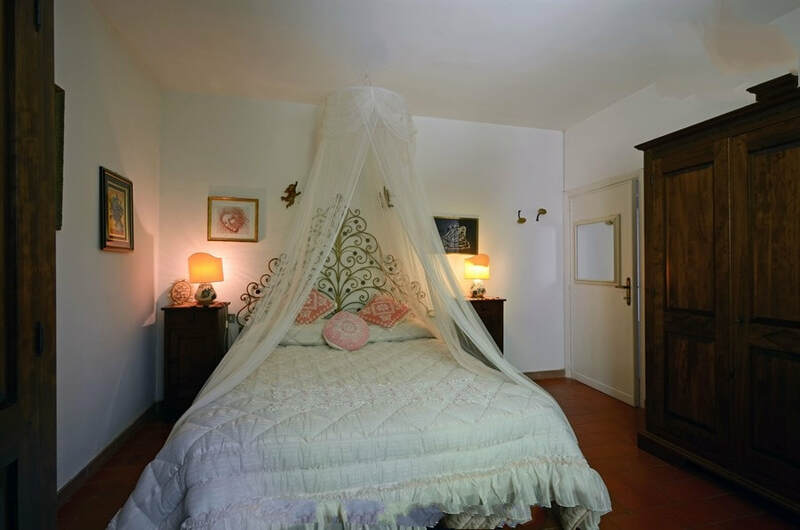 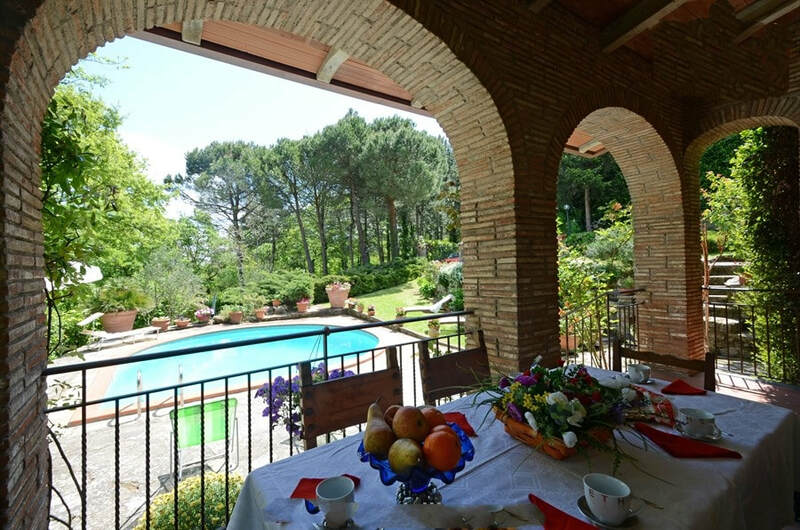 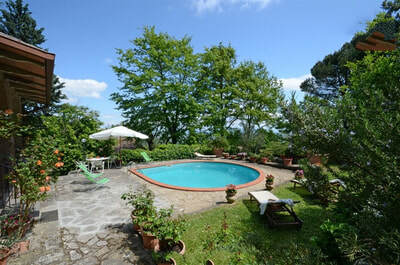 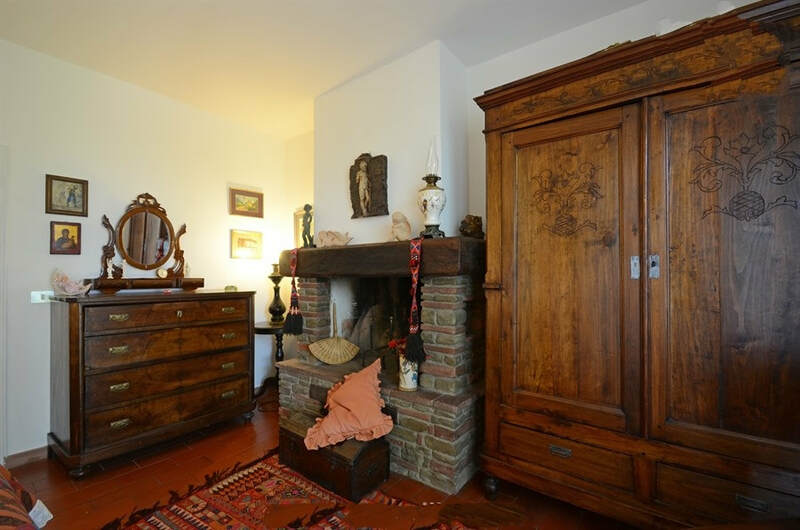 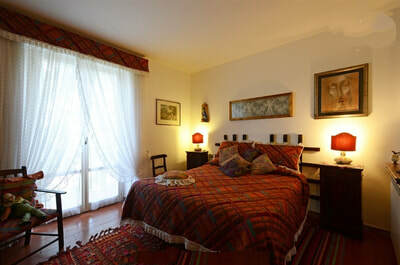 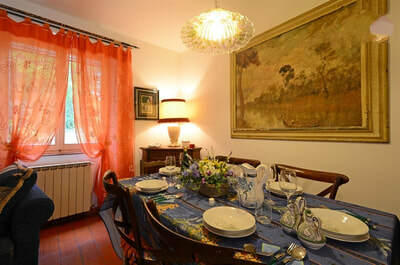 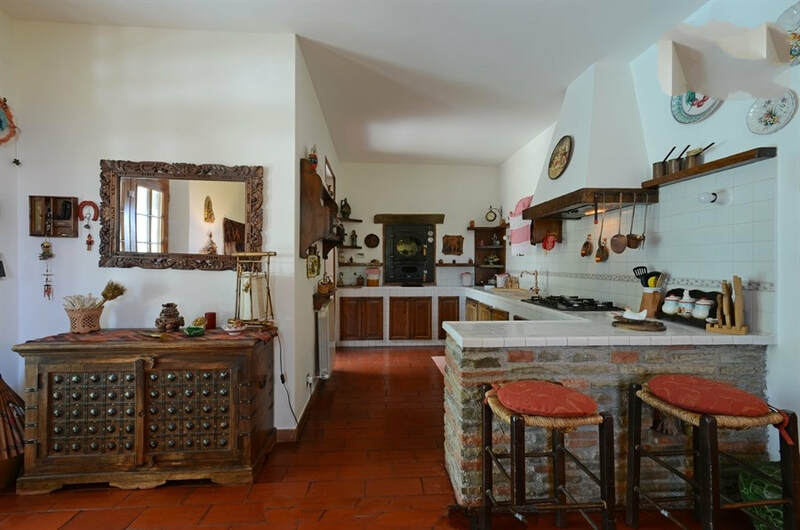 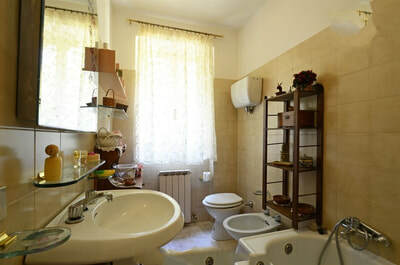 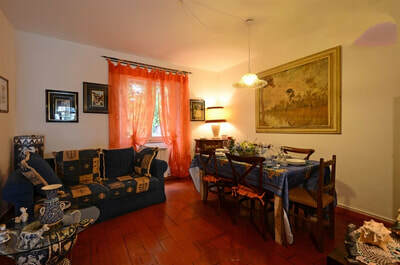 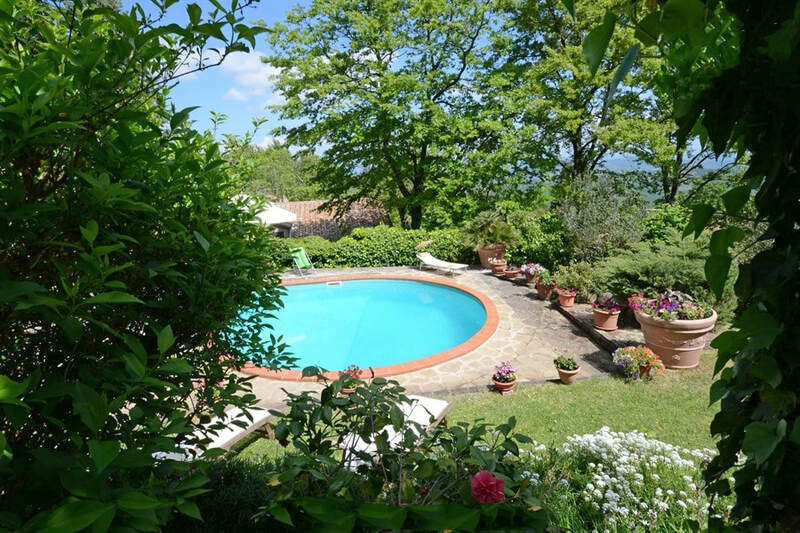 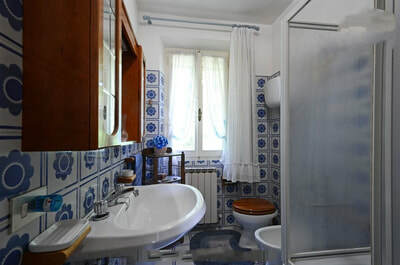 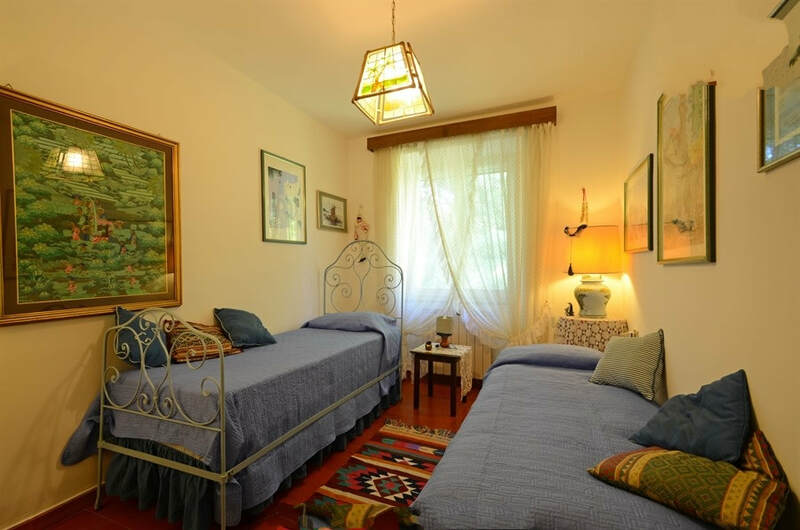 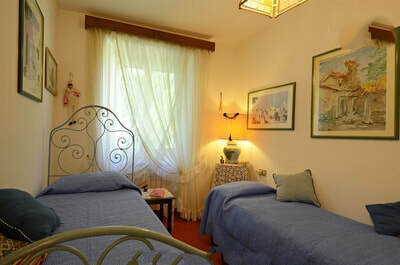 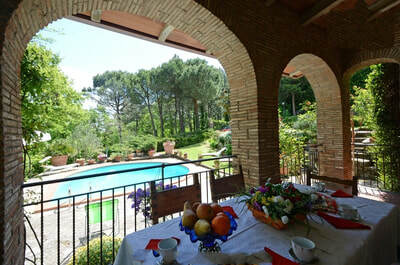 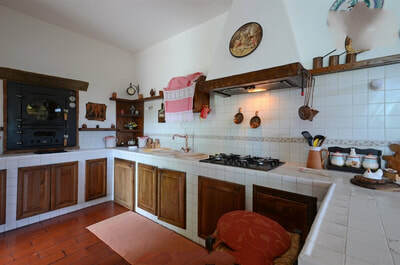 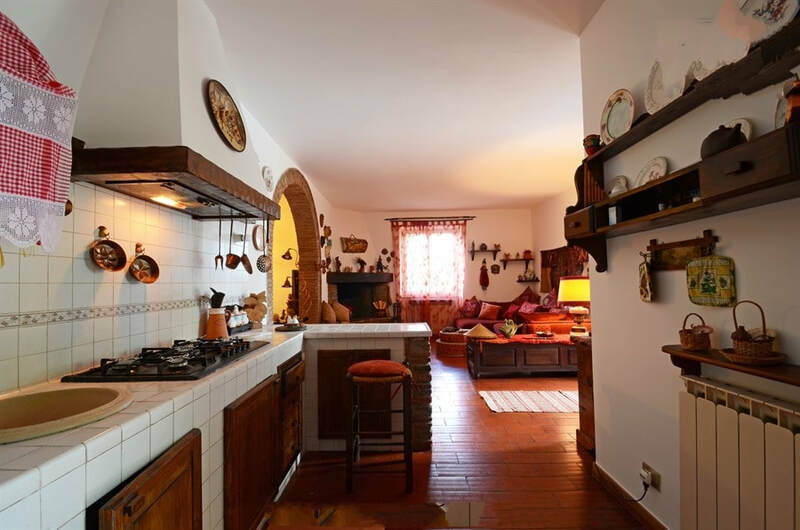 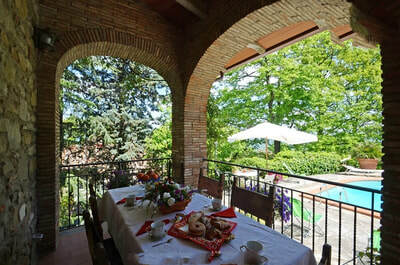 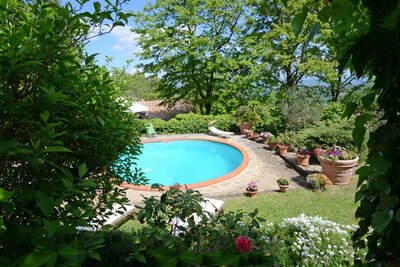 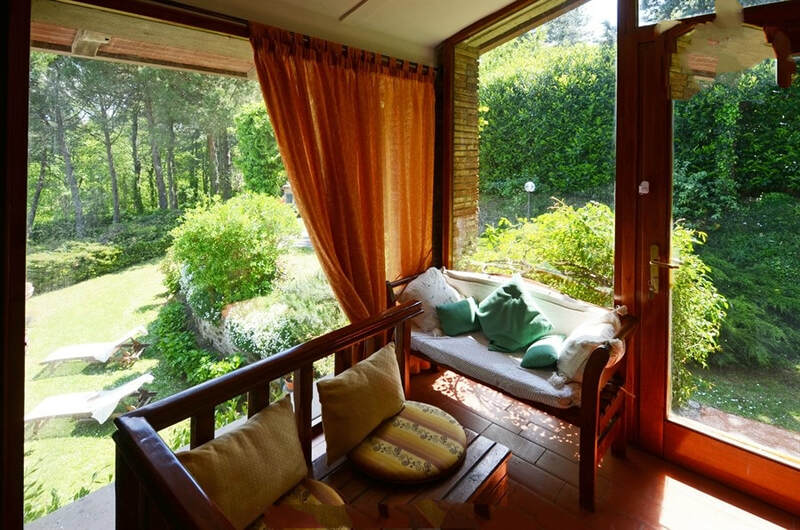 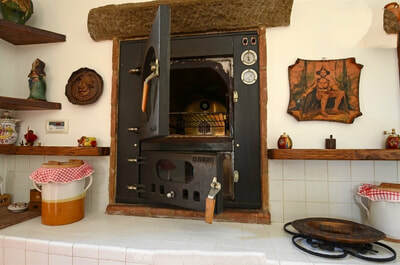 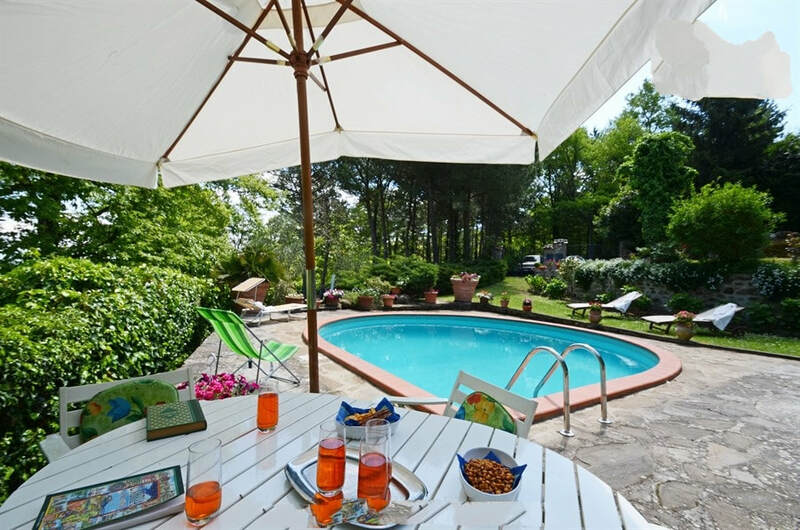 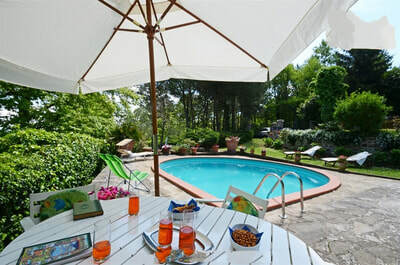 Its location offers an open view of the woods and Lake Trasimeno that can be glimpsed on the horizon. The charm of the antique stone of the house, the domestic atmosphere and intimate rooms that make you immediately feel at home, a well-kept private park, ideal for strolling in, and a lovely swimming pool situated right in front of the furnished portico, are the ingredients that make Villa Ponibbiale the perfect residence for families with children or for romantic visits. 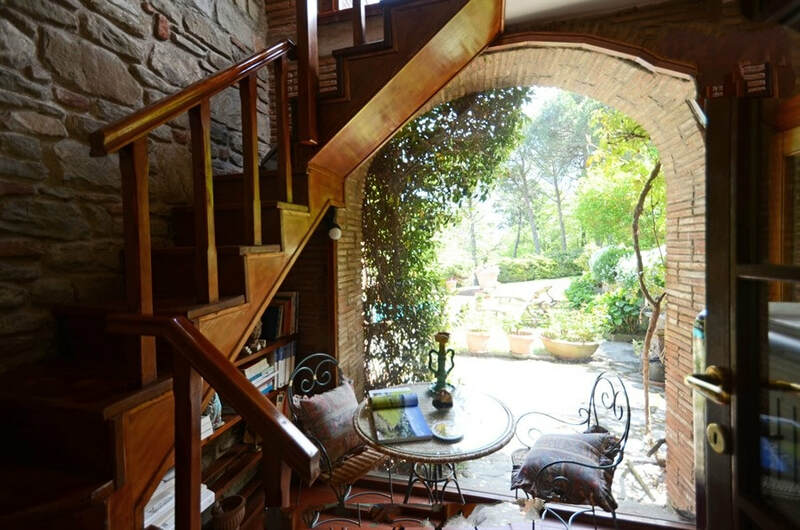 The house has two floors, spread over an area of about 160 sq m, connected both internally and externally. From the garden, three steps lead to the portico and then, through a French window, into an open-plan living room with fireplace and large sofa, dining area and built-in kitchen with wood oven. 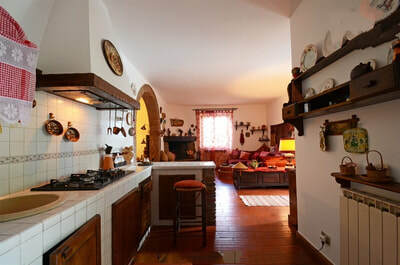 This floor is completed by a pantry (in which are located the fridge, oven, washing machine and dishwasher), a bathroom with tub and a reading room next to the wooden stairs that lead to the top floor with two double bedrooms, a twin bedroom ( with 2 single beds) and a french bedroom ( perfect for 1 adult or 2 small children) and a bathroom with tub. 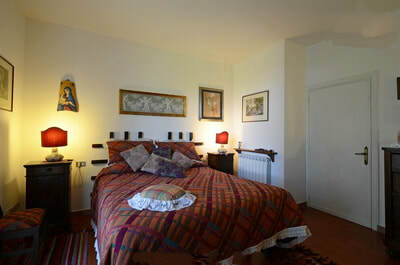 There is a sofa bed for extra 2 persons on the large living room on the ground floor.